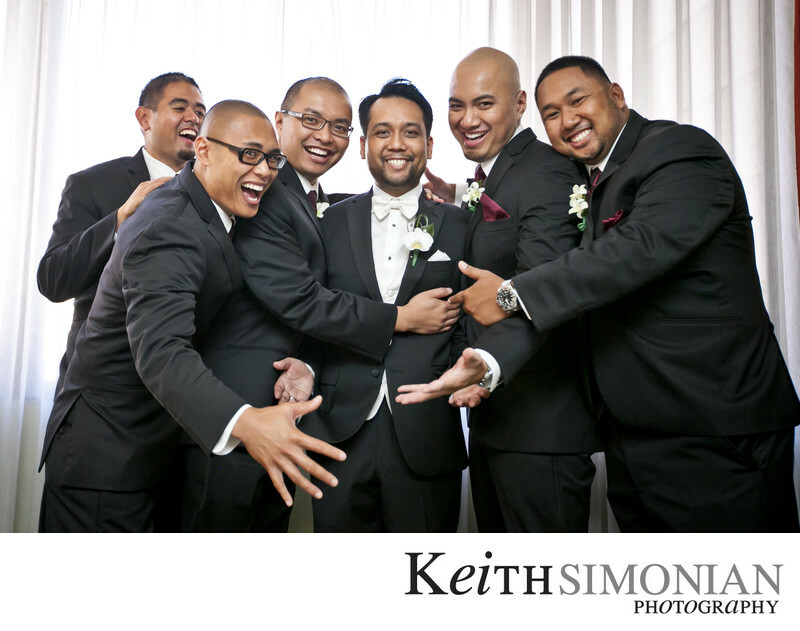 No, the groomsmen and groom don't normally partake in a group hug while getting ready for the wedding in their hotel room. This photo is quite obviously shows the guys playing to the camera. Even so, it's still a fun photograph that captures the tensions and emotions that the wedding day will bring. 1/200; f/2.8; ISO 2000; 35.0 mm.